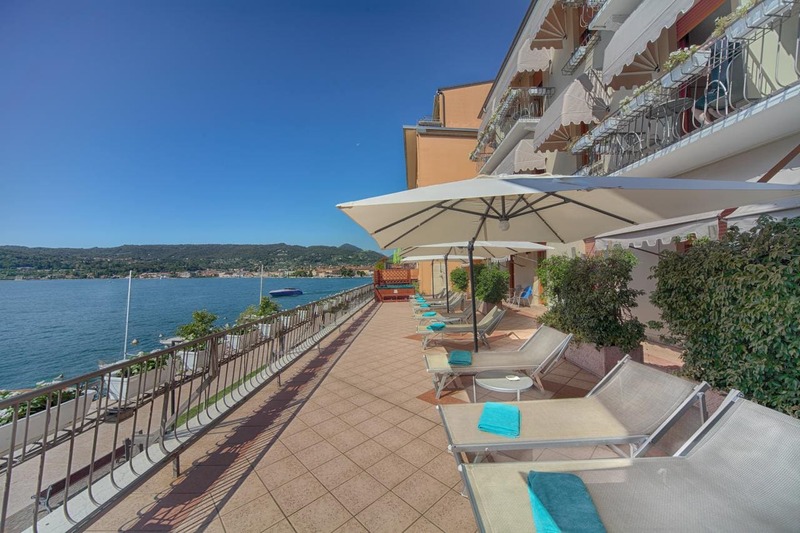 Hotel Duomo is set on the shore of Lake Garda, in a pedestrian area of Salò. The hotel's restaurant features a terrace with a panoramic view across the lake. Your room is complete with LCD satellite TV, aire acondicionado, and free WiFi access. Some rooms have lake views. The Duomo Hotel is located close to the Renaissance cathedral and just 100 m from the boarding point for boat trips across the lake. This 4-star hotel offers free bike rental and free WiFi throughout. A fitness area, sauna, hot tub and solarium are available at extra charge, as well as guarded parking. The restaurant offers local and Mediterranean dishes and a choice of over 250 Italian fine wines.